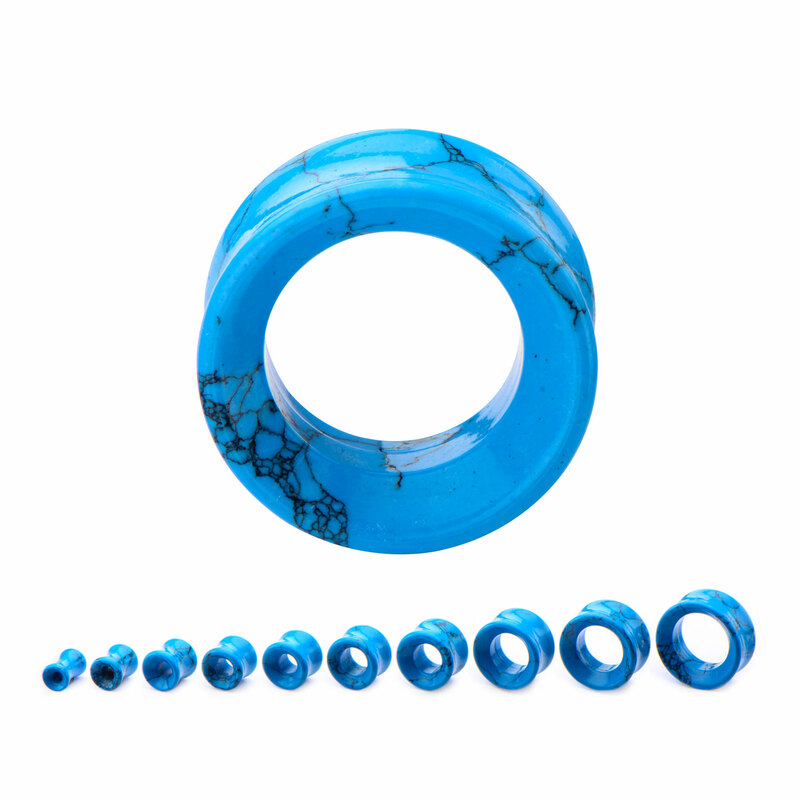 Double Flared Turquiose Thick Wall Eyelets. Since it is a Saddle shape flare the wearable area is around 12mm (1/2 inch). Due to the nature of organics there will be variations in the material. Sold Individually.